Anyway, for my card, I think I managed to get a little bit of all the elements in it here and there. I started by cutting the eggs in each of the colors using my Slice machine (I know the Berry Sorbet color is pushing it for peach, but it was cute!). I used the Accent Notes set from Verve for the filigree on the green panel and for the sentiment and then just kept adding a little here and there to finish it off. I think my favorite part is the big scallops at the bottom "embellished" with the white flowers and pink sparkle. In fact, the whole card is very spark-a-lay! I hope ya'll get to play in this fun challenge. I need to try and play in more of them myself! I enjoyed this one, but do ya'll have any more good ones to suggest? 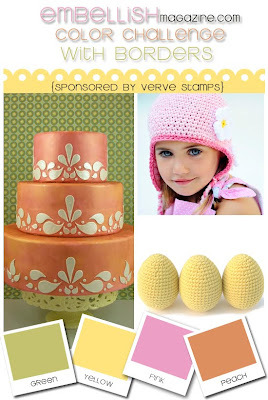 Of course there are free Verve stamps up for grabs on Ashley's awesome blog! Hurry up and go see about it HERE! 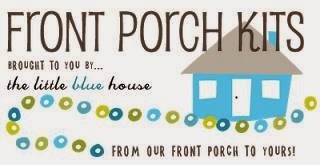 By the way, did ya'll see me featured on my new friend, Kristine's blog HERE? 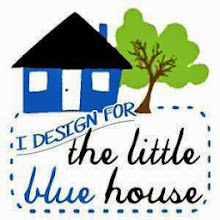 Her blog is called KMcKaydesigns (you may have heard of it!). I'm so excited about it! 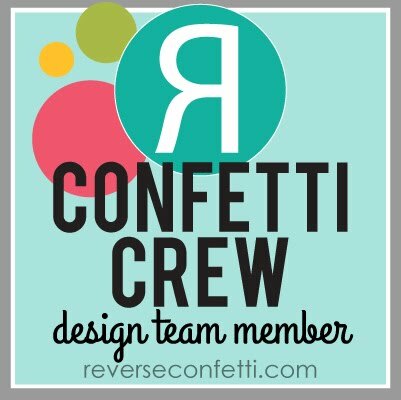 She has some great projects on there if you like repurposing things and handmade home decor! 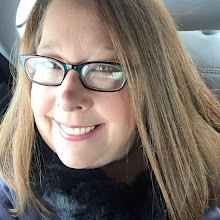 Be sure and check out her latest Studio 5 video about using numbers in your decorating style. She is GENIUS and quite handy with a hot glue gun(no wonder I like her)! SUSIE Q-TIP: These pink adhesive rhinestones are the ones that come in a package and the rhinestones are placed on an entire line of adhesive. I don't like those kind too much, but I must have needed them for something or got a really good deal on them. Anyway, since I'd rather not cut them apart and leave some of that ugly adhesive showing, I simply (and easily) peeled them from the adhesive strip. I then had to glue them on myself, but the overall look is much neater. Susie those big eggsare so sweet, awesome card..luv your style! Beautiful card. Love the Easter theme! Great card, and great tip Susie! So glad you joined in on the Embellish Challenge! Oh how cute! Love those eggs! Thanks so much for playing along with us at Embellish! Wow. Love your card. Please don't good look at mine, lol! I have a hard time with border punches... 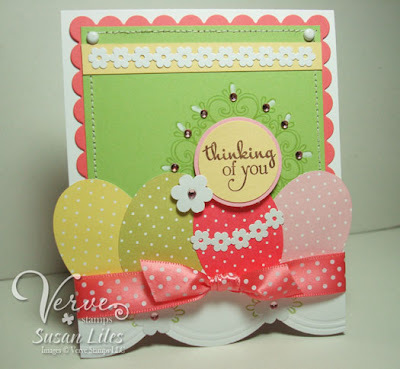 I love your card, the layout, all the punches perfectly placed.... The bling. Love it all. Hey Susan, this card is super cute! Thanks for playing along with us!